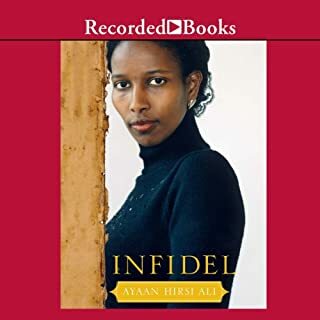 Would you consider the audio edition of Infidel to be better than the print version? Yes, The book is read by the author and you can feel the emotion and hear the "ring of truth" in every word. What other book might you compare Infidel to and why? There is a similarity to "I am Malala" by Malala Yousatzai. The books are both about the treatment of women under Islam. Malala's book does not question Islam only certain factions (i.e. Tali-ban). What does Ayaan Hirsi Ali bring to the story that you wouldn’t experience if you just read the book? As I mentioned in the earlier question. Hearing the author read her own book gives you considerably more insight into the work. The book is non-stop. It was riveting and compelling. After working one of the worst mass killings in U.S. history, Scarpetta returns home to Cambridge, Massachusetts. Exhausted and ill, she's recovering at home when she receives an unsettling call. The body of a young woman has been discovered on the Massachusetts Institute of Technology's rugby field. The victim, a graduate student named Gail Shipman, is oddly draped in ivory linen and posed in a way that is too deliberate to be the killer's first strike. Might be the last Patricia Cornwell book I read. The story was filled with detail after detail of the weather, surroundings, of memories and almost no story. The bulk of the story unfolds at the very end when the killer is already caught. Kay tells us over and over of her great love of Benton; why don't I believe it and why don't I care? Would you ever listen to anything by Patricia Cornwell again? Not likely. 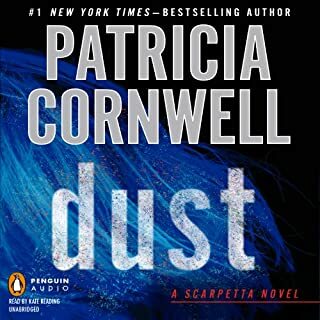 I've read a lot of Cornwell's work including books not about Kay Scarpetta. I haven't liked all of them, but this last story wasn't worth the time of the money. I used to like the Morino character and I think the reader does a splendid job but there is nothing to work with. The character is dull and flat throughout the whole book. There are no decent characters in the book. This book is wonderful. It is a story that everyone should know. 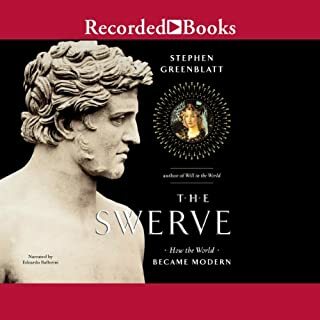 I was stunned by accomplishments of people thousands of years ago and how ignorance destroyed much of the knowledge our ancestors tried to bequeath to us. There is no proof in this book! This book is an interesting story but the author's attempt to cast his opinion as proof is wrong. 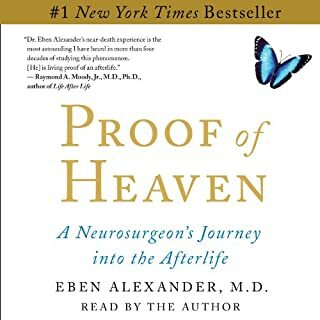 The author dismisses a number of things that might explain his "out of body" experience. All of the things he dismisses are not proof either. They are just an attempt by people to explain why the "out of body" experience might have occurred. I doubt any of the people who have had such experiences accept these explanations. The thing is, the lack of an explanation does not make his explanation the only acceptable answer or the true answer. I also do not see any science in the book. The author seems to think that if he says that it is science; then it is science. If his hypothesis is correct the next step would be to see what things that the idea would predict and what things we might do to test the hypothesis. He mentions at the end that he has started a non-profit organization and that site says that it supports a "rigorous scientific research concerning spiritually transformative experiences" but it doesn't say what that research is. I find that Brown's writing often lacks depth in areas other than art and architecture; still the story was well worth the read. 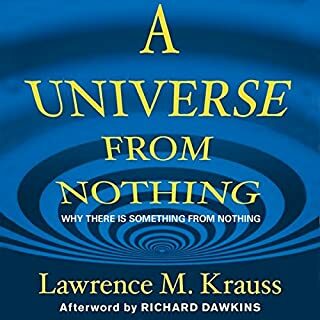 What did you love best about A Universe from Nothing? I loved the science. "Nothing is unstable!" There are no spoiler here. The ending is just more of the science. What about Lawrence M. Krauss and Simon Vance ’s performance did you like? The authors constant need to talk about god moved me to dislike the book. I don't think that science is about whether god exists or not. Yes, The book is a great story. It all rings very true. What was one of the most memorable moments of Canada? The pivotal scene where the boy witnesses the murder he has alluded to from the beginning of the book. I felt like the story was being told by the person who lived it. Who was the most memorable character of Canada and why? Dell. Dell is anyone. He is an ordinary person in extraordinary circumstance. When he reacts, I think that I would react that way too. "As I sleep, my mind will erase everything I did today. I will wake up tomorrow as I did this morning. Thinking I'm still a child. Thinking I have a whole lifetime of choice ahead of me...." Memories define us. So what if you lost yours every time you went to sleep? Your name, your identity, your past, even the people you love - all forgotten overnight. And the one person you trust may be telling you only half the story. Welcome to Christine's life. 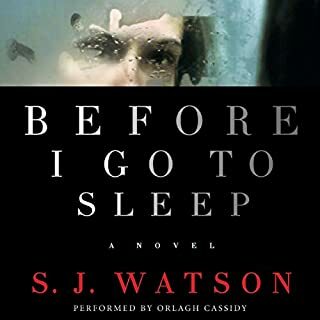 Where does Before I Go to Sleep rank among all the audiobooks you’ve listened to so far? Yes, the plot is filled with surprising turns. The authors use of journal to tell the story, led to many unique turns in the plot. You. like the protagonist, are never sure what is true! The book is read very well. Her emotions made the book all the much more intense. First, I found the science behind the book to be incredibly flawed. The loss, of mass caused by reducing humans in size, was never considered in any way. But it is science fiction and I guess I wouldn't mind too much but the story was lacking. I felt like I was reading the pilot for a television series. And the author introduces a character half way through the book who ends up walking off with the only computer disk that contains the "micro-making" technology. Everyone thinks that all was lost in a fire. Why do that unless your looking to franchise the "idea" of the book? Last of all, the author seems to have a problem with scientists who using modeling to predict "global Warming". He spent much of the book "State of Fear" talking this problem. While I hat any kind of "fear mongering", I think that the author's take is more like keeping your fingers crossed and hoping there are some good scientists out there that will figure this all out. 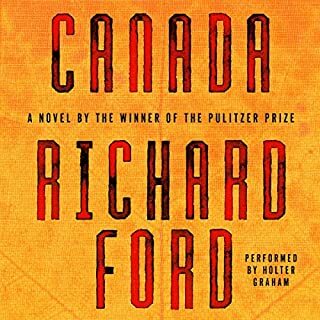 If you’ve listened to books by Michael Crichton and Richard Preston before, how does this one compare? Timeline - very good (shared some of the flawed science of "Micro" but a much better story! What does John Bedford Lloyd bring to the story that you wouldn’t experience if you just read the book? Excellent voicing of characters. Good pace and easy to understand. 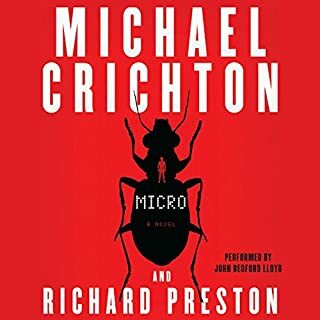 Do you think Micro needs a follow-up book? Why or why not? No, I don't think that I ever get over the lack of any scientific possibility of this occurring. When Chaz Perron's wife discovers that he is running a scam (posing as a marine biologist to doctor water samples so that an agribusiness tycoon can continue illegally dumping fertilizer into the Everglades), he pushes her overboard from a cruise liner. Unlucky for Chaz, Joey survives clutching a bale of Jamaican pot. Rescued from the Atlantic by a former police officer, Mick Stranahan, she decides not to report him but instead haunt and taunt him, with Mick's help, by playing dead. 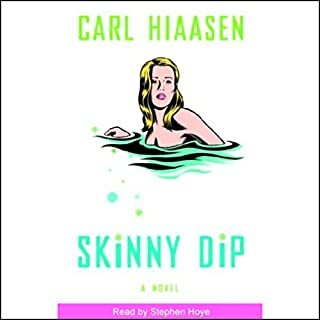 This is my first Carl Hiaasen book and I loved it! You have to suspend you disbelief, however, because it is filled with truly implausible coincidence. Once you get past that, the story and the characters are wonderful. 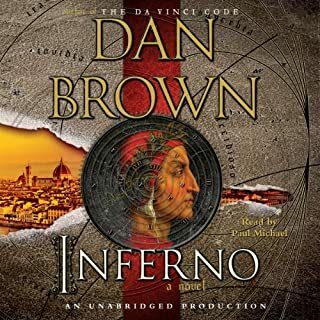 The narration is also great and adds a lot to the general feel of the book. As others have noted; it is laugh out loud funny (makes for interesting reactions when people don't notice your ear buds!). In this story very nearly every guy gets his girl and justice is served with incredible irony.